This is one of my favorite quotes. I picture the Statue of Liberty, in all of her glory, greeting millions of immigrants as they approach the United States, full of hope for a new and better life. It is also what was running through my mind during the last painful fifteen minutes of my first Zumba class. Tired, yearning to breathe. The huddled mass of sweaty Zumba students, trying to mimic Mindy, the J-Lo/Madonna-rolled-into-one instructor. Tell me again, why I am doing this at 6am?? There are some people who enjoy getting out there and sweating. I don't happen to be one of them. Any kind of prolonged exercise where my heart rate stays at an aerobically efficient level is pure torture for me. Forget water-boarding. If you want me to talk, make me sweat for over 45 minutes. My idea of exercise is a long walk around the Seventh Arrondissement of Paris, with a few espresso breaks. 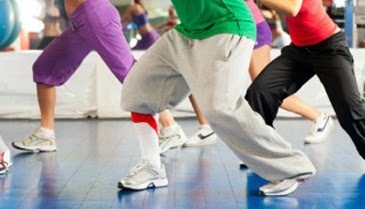 I must admit, however, that after Zumba, I was secretly proud to be one of the cool, sweaty, spandex crowd. There is good sweat, and there is bad sweat. Bad sweat happens when you are all dressed up in your little black dress and you catch a wiff of yourself. Let's just say you don't smell like Chanel #5. I found a nugget that will eliminate bad sweat, and the odor that goes with it. Certain Dri Regular Roll-On Antiperspirant isn't like other antiperspirants. It is a mega-antiperspirant. The directions say to put it on at night and it lasts 72 hours. I put it on when I think about it, every few days or so, and it truly WORKS. I did my research on this. I am a good gold digger, and I can tell you that I read many reviews, and personally tried the top rated antiperspirants. Certain Dri, hands down, was the most effective product to eliminate underarm sweating and odor. It's not exactly a problem one likes to discuss publicly, but we all have times when we need a little help in this area. Hormonal fluctuations, medications, skin allergies, even a change in soap can all cause our systems to suddenly behave differently. I recommend the Certain Dri Regular Roll On Antiperspirant. Certain Dri does come in a new solid application, but the roll on works for me. It has the old fashioned ball applicator that goes on wet. I give it a few minutes to dry before putting on clothes. Cost is about $6.00. For more information about Certain Dri products, Click Here. Anne, great info. I actually have a nugget too. For years my husband and I have been using a deodorant that's available at GNC. It's called herbal clear. No aluminum, dyes or alcohol in this little gem. If it works on my big Italian hubby, it has to be good!